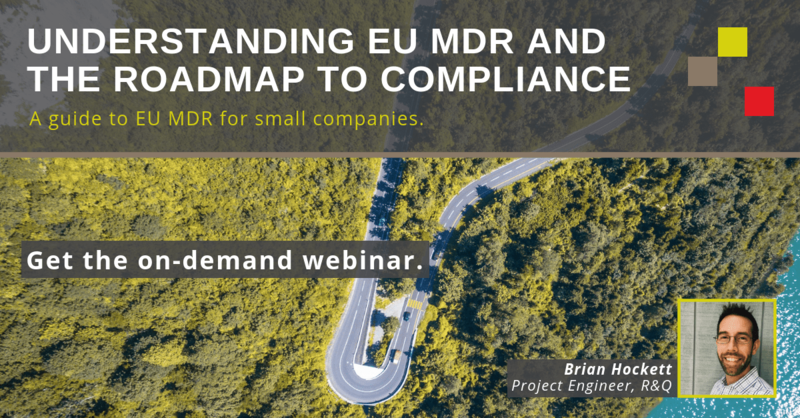 A guide to EU MDR for small companies. This webinar was originally presented in October 2018. The EU MDR date of application is approaching faster than you might think. With changing schedules and increased scrutiny from the notified bodies, as well as an overwhelming amount of information out there, it can be difficult to understand the impact of the new regulations and determine where and when to start. Your technical files, design dossiers, quality system documents, clinical plans, labeling (including UDI), software, and more will be affected. Plus, new requirements are coming into play, including Eudamed and periodic safety update reports (PSURs). Compound all of this with varying dates for compliance, and the task can seem impossible. The goal of this webinar is help you better understand the major changes coming, the planned timing, how to realistically plan for the impact, and what you can do today to start getting ready. We will also cover what to keep an eye on and provide some real-world examples that show what manufacturers and notified bodies are doing because of the changes.